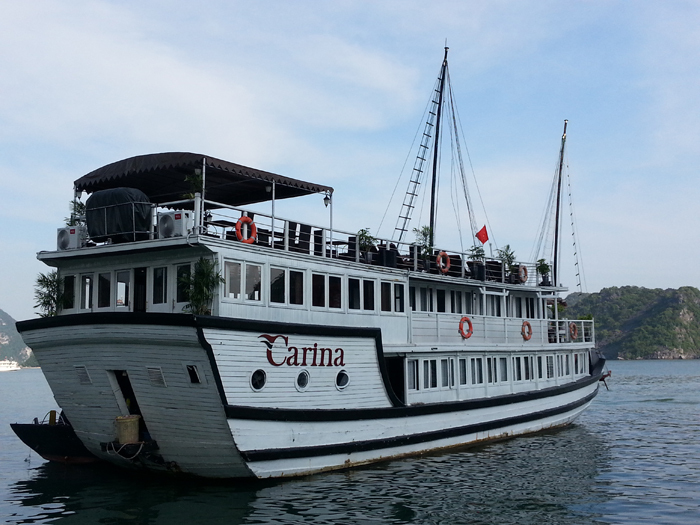 Carina Cruise benefits from being one of the more intimate junks. 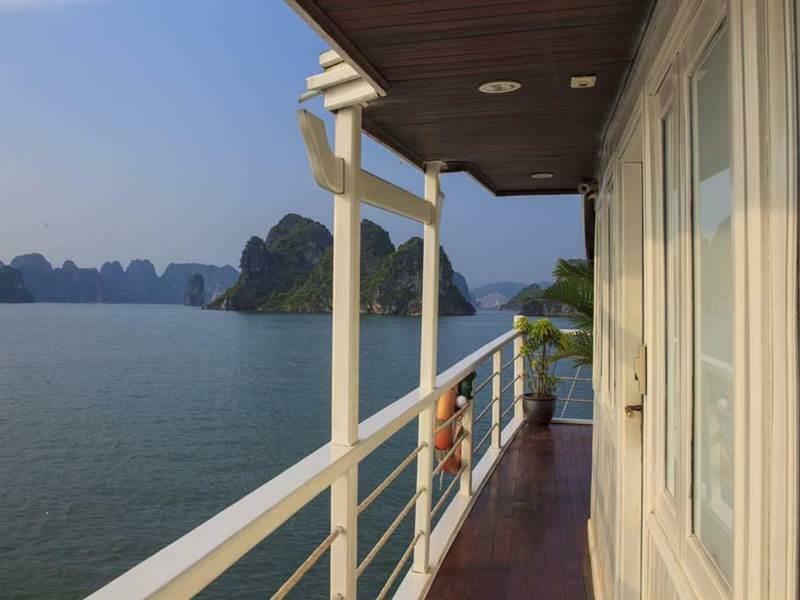 With just 9 luxury en-suite cabins, and manned by a young and experienced crew of 10. 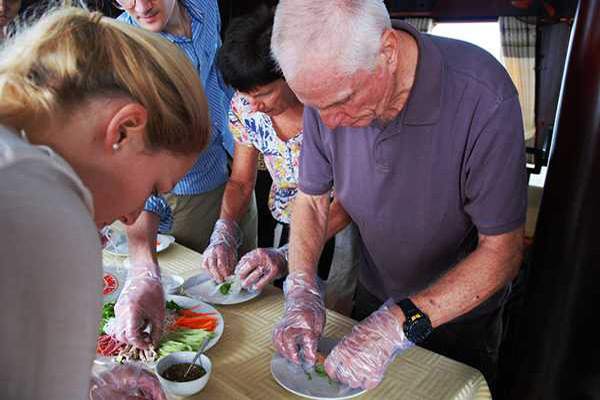 We cater for small groups, couples and individuals. 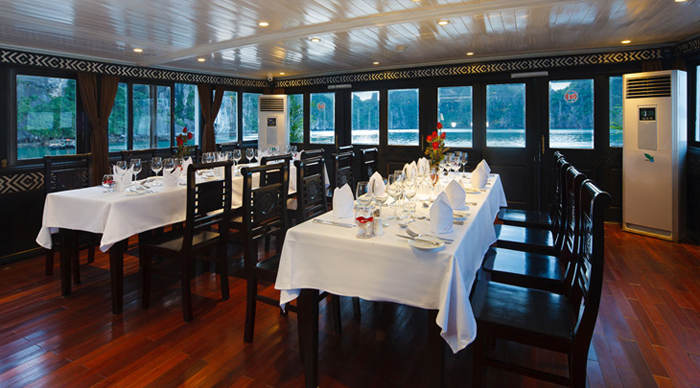 The cosier atmosphere provides a more personalized service compared to most other cruises in Ha Long. But The Carina’s generous size means that you won’t feel cramped. Carina Cruise is large enough for you to keep yourself to yourself but small enough to feel that you are travelling with a group of friends. Besides, the size is the greatest advantage. 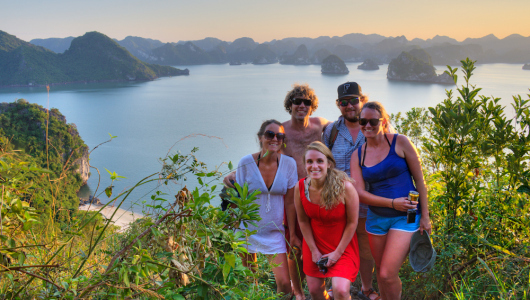 It gives us access to other parts of the Bay which are less populated and less touristy, helping you to feel you are not in a tourist trap constantly surrounded by loads of other junks. 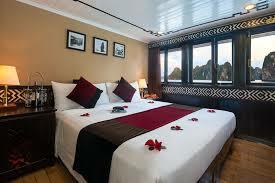 Carina Cruise covers 9 luxurious en-suite cabins, tastefully designed mixing the traditional with modern. 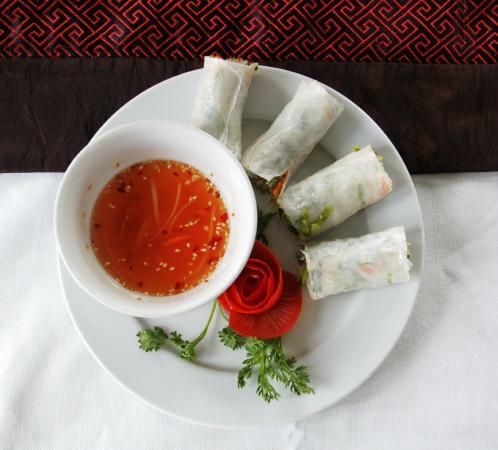 They are fully equipped with air conditioning, full bathroom amenities, in-house phone. 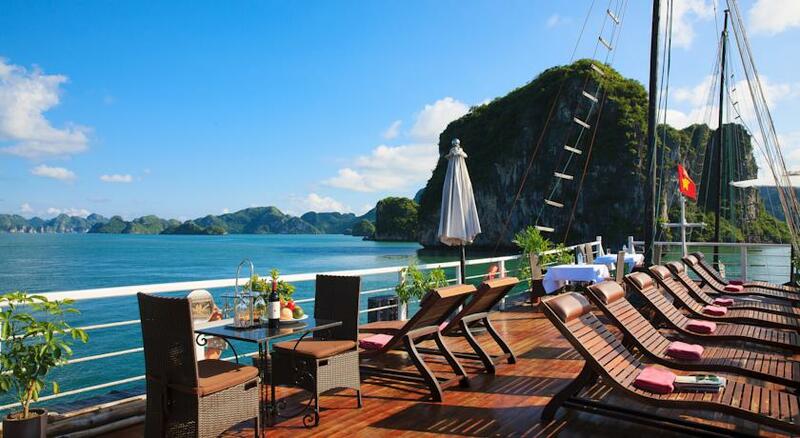 Relax in peace and luxury. 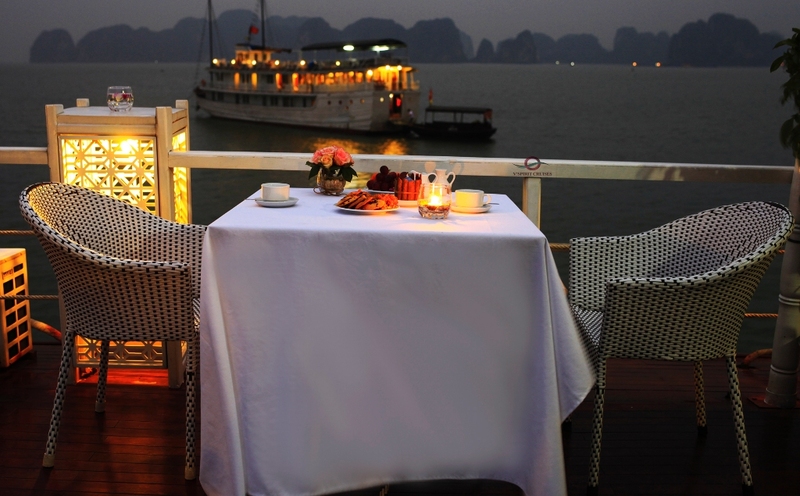 The Deluxe Premium are situated on the more private second deck with good panoramic views. These cabins have windows and a French balcony. Equipped with air-con, safety box, en-suite bathroom with hot shower cubicle and full bathroom amenities. Two complimentary bottles of water, complimentary fresh fruit platter and two cocktail drinks courtesy of The Carina. 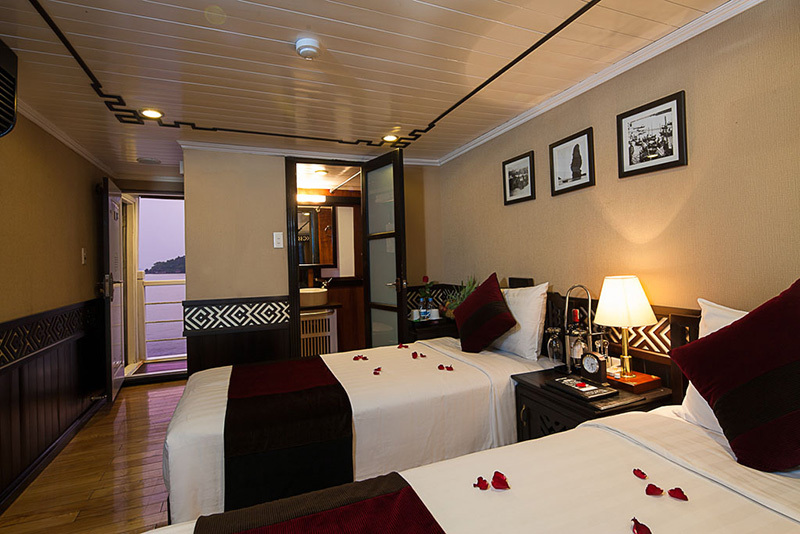 The Deluxe cabins are located on the first deck. They all windows and are spacious and comfortable.Equipped with air-con, safety box, en-suite bathroom with hot shower cubicle and full bathroom amenities.Two complimentary bottles of water. 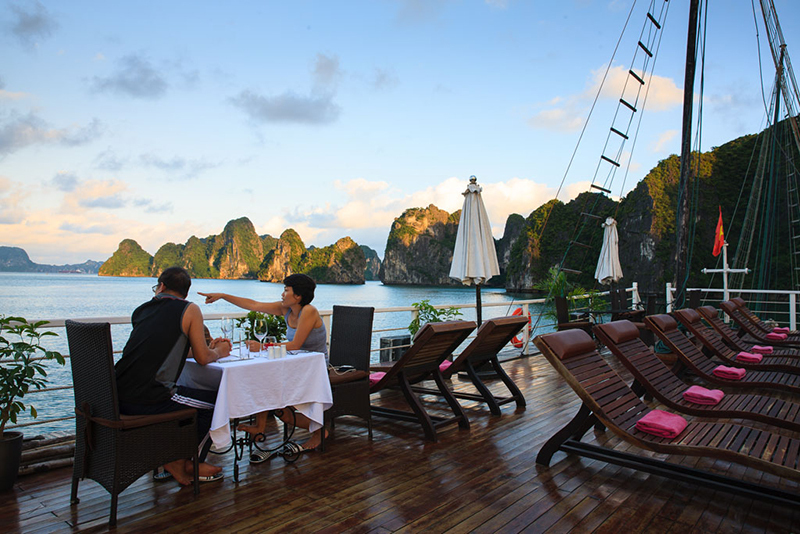 The sundeck situated on the top deck that is the perfect spot to view the lime scale peaks, lagoons, grottos and emerald sea. Relax on our cosy sun lounges and enjoy the cool sea breeze. 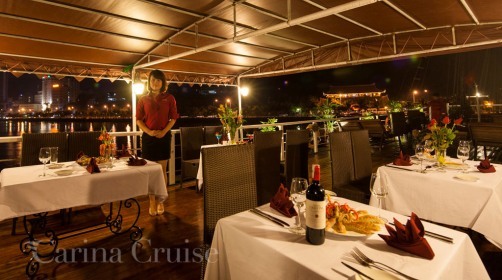 Uniquely – we also turn part of the sundeck into an our door restaurant where you can dine under the stars and which means the carina gives you the choice of indoor and outdoor dining. The indoor restaurant seats up to 20. Relax and unwind. Enjoy pre-dinner or after-dinner drink, relax, browse our selection of books and magazines or watch DVD on the plasma TV. The bar is fully stocked with fine wines, spirits, alcoholic and non-alcoholic drinks. 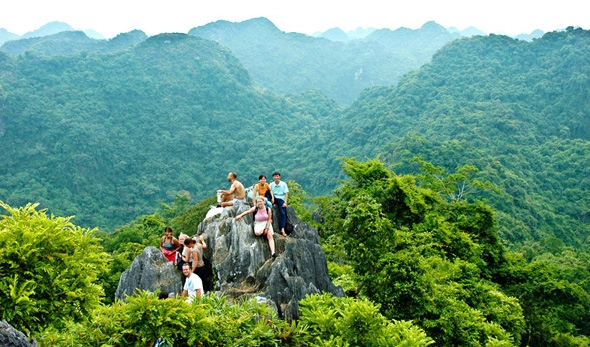 - Transfer to smaller boat to explore Day and Night cave and pearl farm. 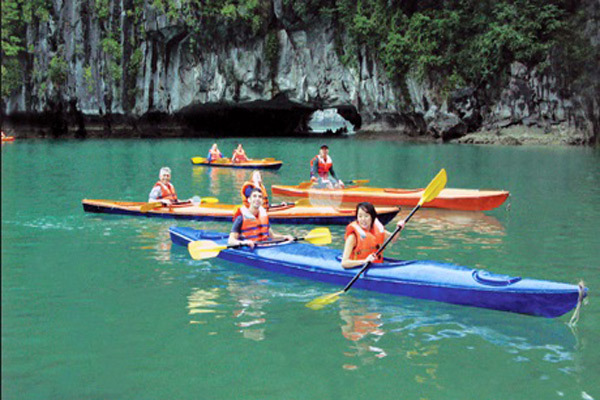 Guided kayaking, swimming, a pristine natural cave lapped by the turquoise water. 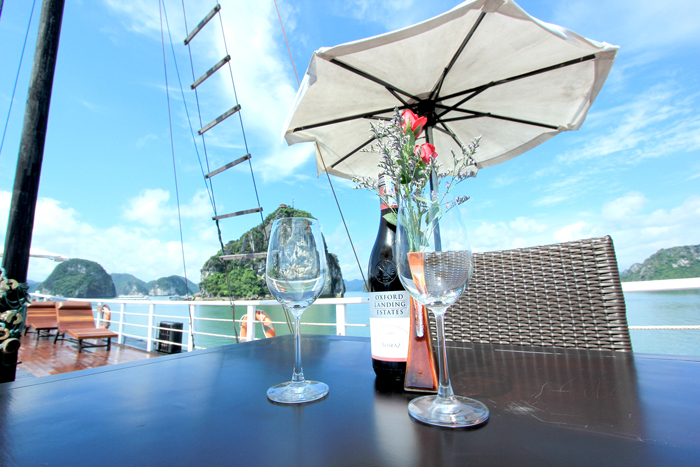 - For the early risers join us for a Tai Chi session on the sun deck. 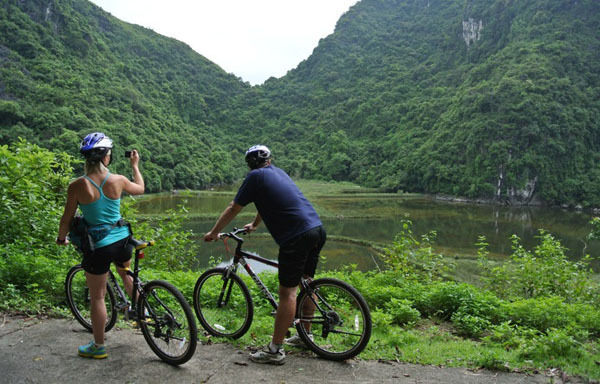 - After breakfast, we sail through the waters and pass by a number of caves and we drop anchor at Surprising (Sung Sot) Cave. 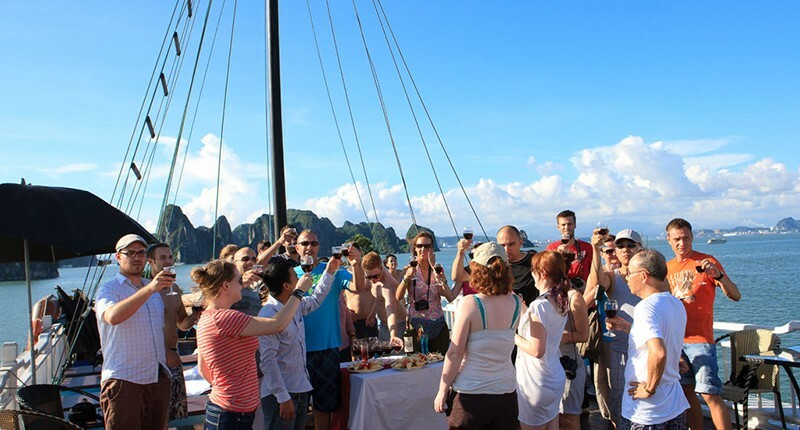 - Return to the shore and disembark from The Carina as our crew say farewell.